*The Planetary Collegium’s 12th Annual international Research Conference, Consciousness Reframed: art and consciousness in the post-biological era. Exploring the archaïc Tattoo practice. Tattoo, in its original and traditional context , has always had a first-rank shamanic or therapeutic psycho-magic function. We discover throughout the world, inside different etnic groups, from Asia, Oceania to North and South America, a set of rituals and codes, recurrent to this ancestral practice. Can this archaic knowledge, linked to the practice of tattoo, be submitted to an interesting rereading, thanks to different contemporary scientific advances? How can we re-interpreter or study thoroughfully today, the shamanic/psycho-magic function of traditional tattoo? Can these technics offer a fresh look on the relation body/conscience in an artistic prospect? I have been exploring and experimenting for many years, through my artistic tattoo profession and as plastics technician, the relations that used to be shamanic, of this now popular art. Feeding my work with scientific data, associating for example some elements issued from acupuncture and from researches on the biophotons and very feeble cell radiations of Fritz Albert Popp, I put a lot of time in studying the interface skin/conscience, an element that tattoo has always used in its therapeutic function. After having worked on the skin and brain relation and on the interest there is to explore the endogen/exogene pharmacological and psycholgical dimension, I now explore through a fundamental archaïc artistic technique, the theater of the psyche activities. The shamanic function of tattoo is a re-initialization of mind/body in the sublimation of pain. Pain implies a defocalized state of consciousness of the ordinary conscience, a rupture of the ego perviousness which enables the shaman to invest himself in a reading and re-inscription with the subject via skin, that is to say, the interface border inside/outside, physiological and psychological. In this frame, tattoo, because of its direct impact on and inside the body through the skin, proposes itself as a means of informational re-encoding, at the same time artistic and therapeutic. Plastic implication of "ad vita eternam" conscientisation. It will always be possible to say that the creasing infatuation for contemporary tattoo could be linked to the various social phenomenon of our period, even include it in a submission to fashion or to a conformity mode, sometimes pseudo-subversive, but it is first of all a method to re-appropriate body and mind, an act of voluntary transformation, transcended by pain, through which an image, with a concrete and subtle symbolic, seeks to be unveiled to consciousness. My work will consist here in tattooing without any ink and so bring up a non-visible aspect of an act of tattoo, whose result leaves no ink trace but a slight scar, a symbolic which evokes by the absence of artwork, a therapeutic and non-decorative aspect of this practice. If intention is the key, its incorporated materialization is the privileged entrance of transformation of information and conscience. We can note that the existence of this practice is still present nowadays during the Buddhist rituals such as those of the Bang Phra temple in Thailand, which is done without ink but with "magic" plants oil. At the same time, I am starting an experimental protocol whose dynamic is as follows: a set of non-visible tattoos are and will be done to try and treat a psychosomatic pathology such as a recurrent zona with my companion. In order to archieve the research, apart from the practical and theoretical knowledge acquired through my profession, my encounters and my reading, I implied myself in a personal diet, using different plants linked with ayahuasca, with the intention of appropriating through the visions generated by them, therapeutic technics linked with traditional tattoo. A story through skin, mind & acupuncture. According to the opinion and researches of Albert Fritz Popp about biophotons and ultraweak cell radiations. I have chosen to implicate myself in the ancient chinese therapeutic practice: acupuncture and to join to it tools, issued from nanotechnology as tracer. For this work, I have done a body painting, using thermochrome pigments which change colour under the effect of a temperature increase, of one or two degree celcius. 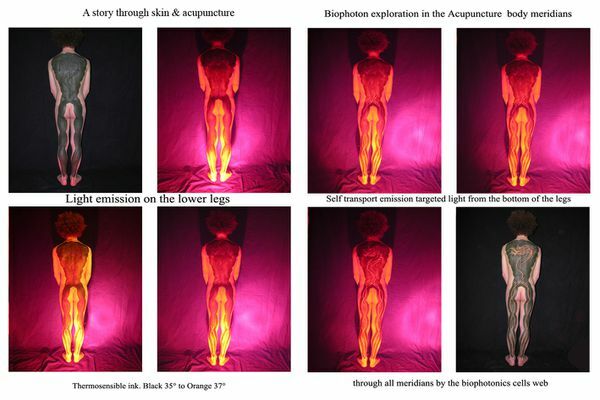 The change in temperature is due, at first , to an activation of specific meridians under the impulse of an infrared bombardment at the leg's lower level. Secondly, the heating of the points is conveyed from the lower part of the legs to the back of the body, following the meridian route, through the cell radiations network. I am in touch with the Geminov firm, concerning the creation of thermochronic pigments, containing no bisphenol A or formaldehyde in order to be used for tattooing. This dynamic could enable to do tattoo which would develope according to the emotional disposition of the receiver. For example, if one is irritated, the body temperature increases sensibly and could make a tattoo appear or change. Works focused in the inner part of tattoo. 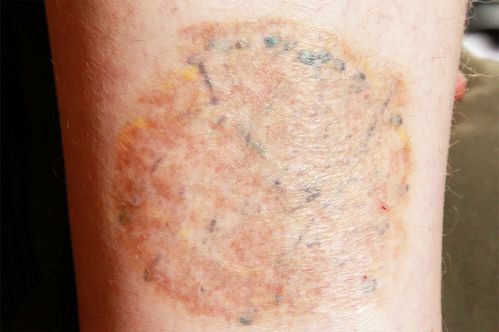 I have extracted some of the skin and of the upper part of the dermis of a tattooed skin in order to make the inner part of the tattoo visible. The scar of the removed zone, shows the tattoo trace situated in the deep part of the dermis containing the tattoo. 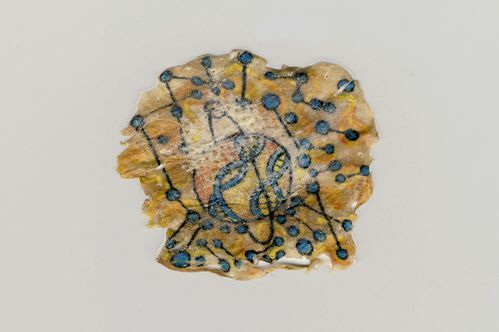 Inner side of a tattoo( extracted and momified). Epidermis, upper part of the dermis. Underskin recording during a tattoo session. This sound, targets the specific low frequences which produce during a diffusion via subwoofer, a resonance inside the recepter's body, similar to the one felt during a tattoo session. of tattoo made on human skin. A proof of 50 cm2 has been tattooed, then extracted (epidermis, dermis) by a specialist surgeon, and then mummified. 2. Explanation, concept & visions. Tattoo is the passage & the assimilation of informations within a physical & psychic context which are linked. The pain given by tattooing brings the endophines as mediums. They facilitate the happening of a more or less important modified consciousness which enables the acceptance & the assimilation of the pain, body as biological system mode of dna, personal datas, collective, inter-species. The interrelation tattoo-pain-endorphines-transposition-information assimilation is represented by an indelible image. Transmitter-receiver, the DNA is the memory vehicule, past-present receptacle, conscious or not. The skin becomes the medium, the canvas of the informational transfert as the picture of the cell duplicating. Before being a physical pain, tattooing is often linked to an unconscious psychic suffering. It will enable to free the body from the mind. By picturing counciously the pain, it allows the acceptance & the recovery of the psychic illness. The body as the meeting point of the substance, consciousness, energy & spirit takes back its position of transformation tool. Pain, endorphines, modified counsciousness, allow to transcend death into a new existence of a mummified piece facing eternity. The removal of the image means cicatrizing. The whole process of the healing involves the memory of the existence & the perpetuity of this information. 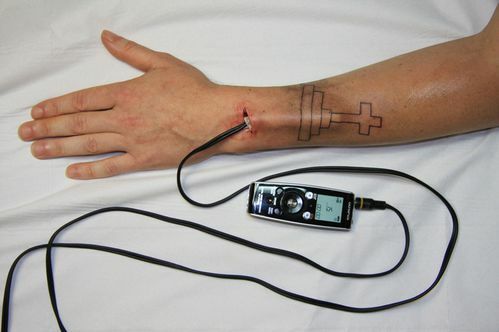 Tattoing with binaural sounds/beats and EEG modelisation. The diffusion of binaural sounds tend to generate an electrical activity of the brain in alpha and theta mode, while stimulating the production of certain neuromediators. Many studies have showed that this state of modified consciousness lead to the stimulation of certain cognitive functions such as memory, attention, abstract intelligence. Art, Identity and the Technology of Transformation. The conference will look at art as behaviour of mind, embedded in the physical world, but articulating its immateriality. Just as institutionalized art, with its tired orthodoxies of instruction, production and distribution, is challenged by the new technologies of knowing and perception, so our sense of self - its singularity and authenticity - is open to reconstruction and reinterpretation. In his assault on identity and authorship, the great Portuguese poet Fernando Pessoa created over 70 heteronyms. “His jostling aliases,” as John Gray has put it, “expressing his belief that the individual subject - the core of European thought - is an illusion.” This exploration of the plurality of self finds is contemporary expression in the proliferation of personas and avatars through which we navigate the actual and virtual universes of our making. 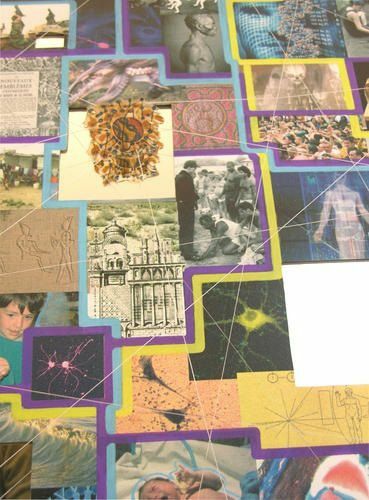 Transdisciplinary discourse, the adoption of new technologies, the invisible forces and fields of the sciences, the recuperation of abandoned metaphysical and spiritual models of being, can all find expression within the context of this conference.